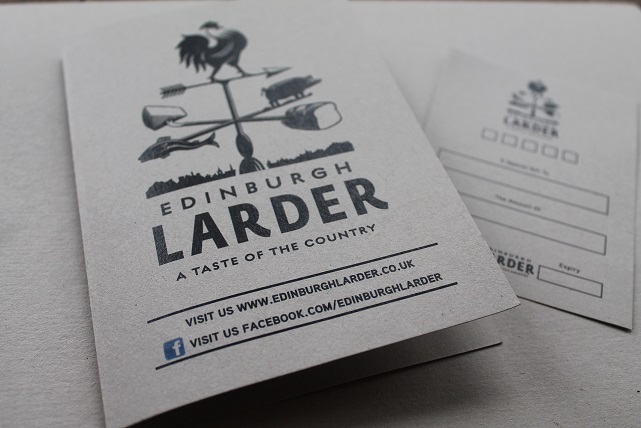 A Gift Voucher to spend at the Edinburgh Larder or Edinburgh Larder Bistro. Gift Vouchers are valid for 4 months from date of purchase. Vouchers must be presented in their original form and cannot be extended beyond the date of expiry. All vouchers will be sent by Royal Mail 1st Class Postage to UK addresses only. Vouchers bought before 5pm Monday – Friday, should normally arrive within the next two working days (for UK Mainland orders) but this may vary. Should you not be in receipt of your order within 5 working days, please contact Edinburgh Larder directly on 01312254599.